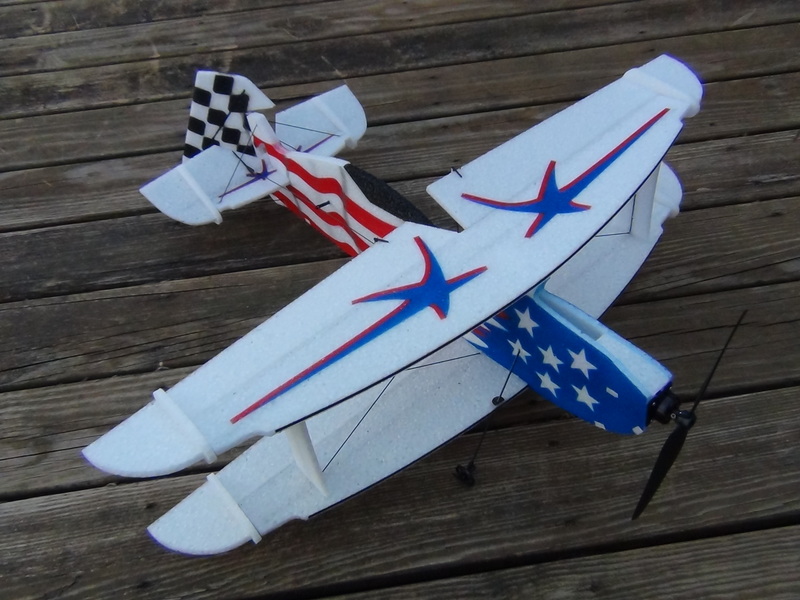 The Liberty is a full fuselage, 6mm thick EPP, 3D biplane. Its large ailerons and counterbalances give it a very fast roll rate. The large elevator and rudder allow for precise control during acrobatic maneuvers. The 30" wing span along with its large wing area and AUW under 7oz allow the Liberty to float through the air.